The BJP leader's remarks came a day after a Right to Information reply put the Delhi government in a spot on non-utilisation of Rs 787 crore collected as environmental cess during 2017. NEW DELHI: The BJP's Delhi unit leaders on Thursday met Lt Governor Anil Baijal and demanded an inquiry into the "non-utilisation" of around Rs 1,000 collected as green cess by the AAP government in Delhi in three years. "We met the Lt Governor and demanded an inquiry into non-utilisation of around Rs 1,000 crore collected from the people," Delhi Bharatiya Janata Party (BJP) unit chief Manoj Tiwari told reporters after meeting Baijal. Tiwari was accompanied by Leader of Opposition in Delhi assembly Vijender Gupta, Delhi BJP Vice President Rajiv Babbar, party's Spokespersons Harish Khurana and Praveen Shankar Kapoor. The Delhi government, in a reply to RTI activist Sanjeev Jain, said it received Rs 50 crore in 2015, Rs 387 crore in 2016, and Rs 787 crore as environment cess from January 1 to September 30 in 2017. The Arvind Kejriwal government said it had spent Rs 93 lakh of the cess in 2016, but there was "no mention of any expenditure" in 2017. The BJP leaders also demanded that the Delhi government should immediately purchase 8,000 CNG buses for the city. "The L-G has assured he will immediately take up the matter with the Transport Department," Tiwari added. 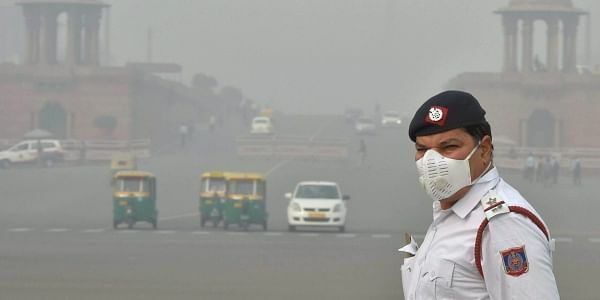 Authorities in Delhi have over Rs 1,500 crore, collected as green fund to combat air pollution, lying largely unused, even as the national capital struggles to ward off a toxic haze.